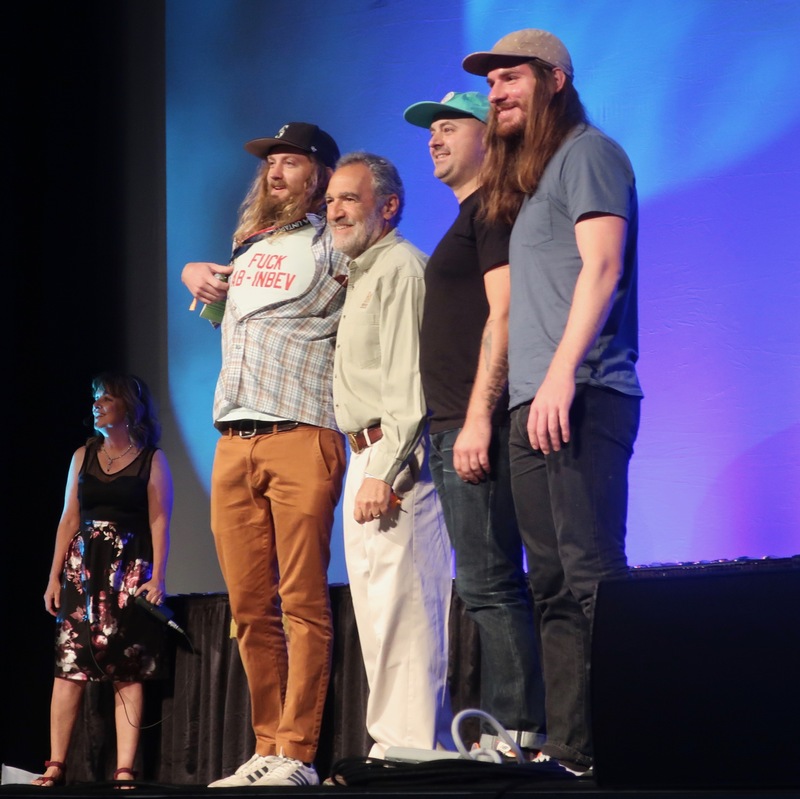 pFriem Family Brewers take home the Mid Size Brewing Company of the Year Award at the 2018 Great American Beer Festival. The 2018 Great American Beer Festival, now in it’s 37th year, wrapped up on Saturday in Denver, Colorado and the Pacific Northwest brought home 40 medals from the festival’s competition. The state of Oregon led the way with 22 medals plus pFriem Family Brewers taking Mid-Size Brewing Company of the Year while breweries from the state of Washington were awarded 17 medals. 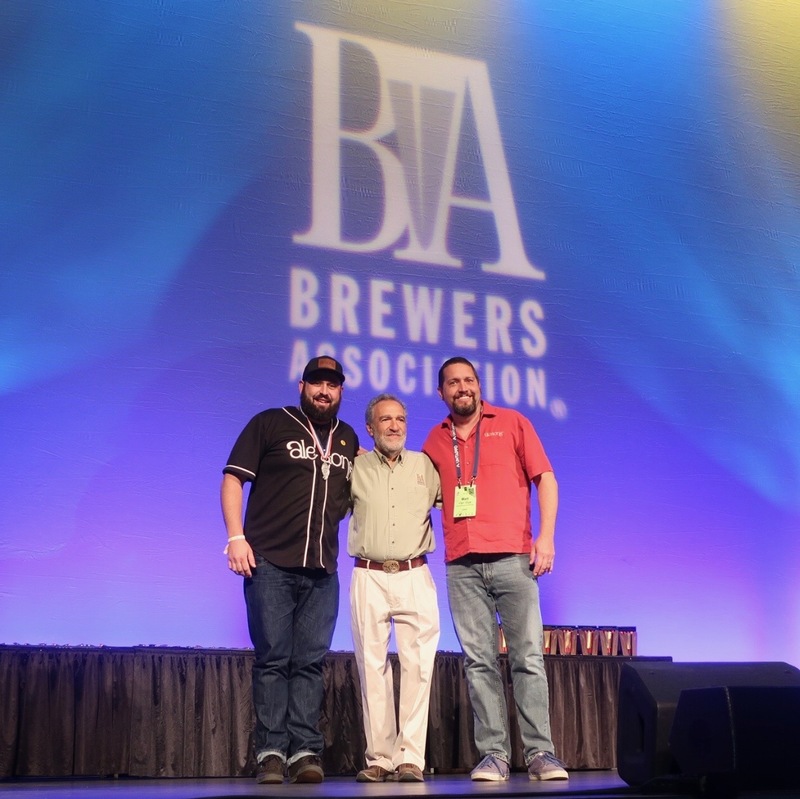 For the 32nd year of GABF Competition, the Brewers Association awarded 306 medals in an astonishing 102 different categories of beer to 280 different breweries. These 306 medals were all whittled down from the 8,496 entries from 2,404 various breweries from 49 states and the Washington D.C. The only state that did not have a brewery enter beer into the competition was Mississippi. 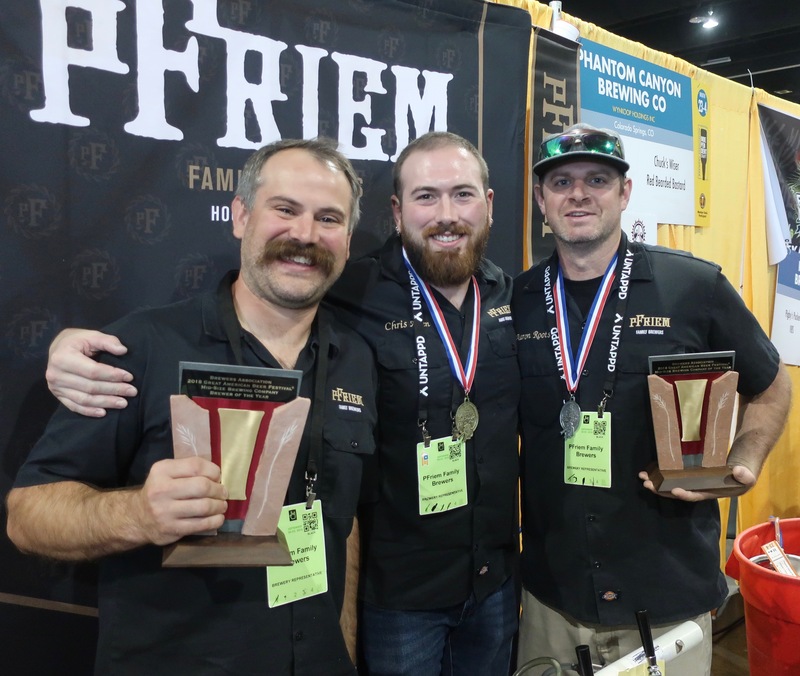 pFriem Family Brewers with their Mid Size Brewery of the Year Award and two GABF Medals at the 2018 Great American Beer Festival. Prior to awards ceremony on Saturday morning at the Bellco Theater inside the Colorado Convention Center, 293 judges from 13 countries evaluated these 8,496 entries earlier in the week. 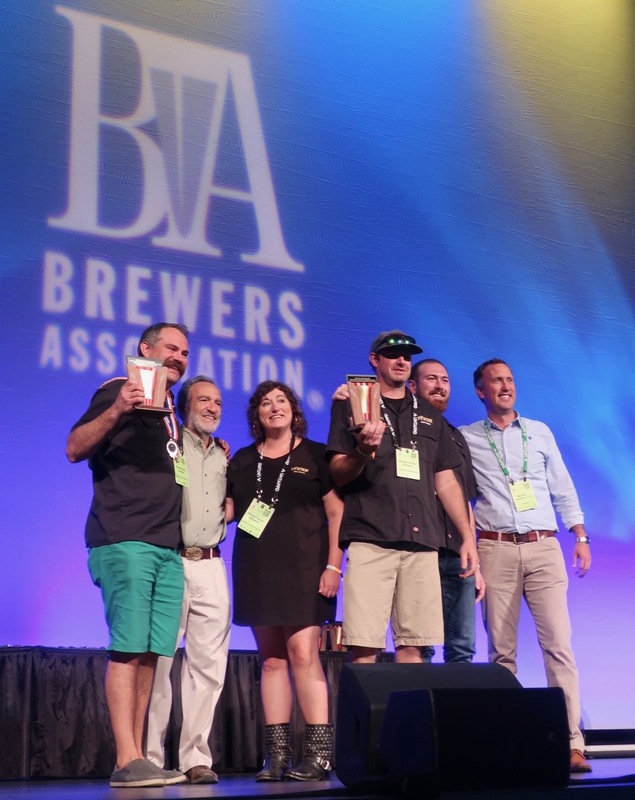 The category with the highest number of entries was the newly established Juicy or Hazy India Pale Ale that saw a record 391 entries and the three winning breweries all hail from the Midwest. 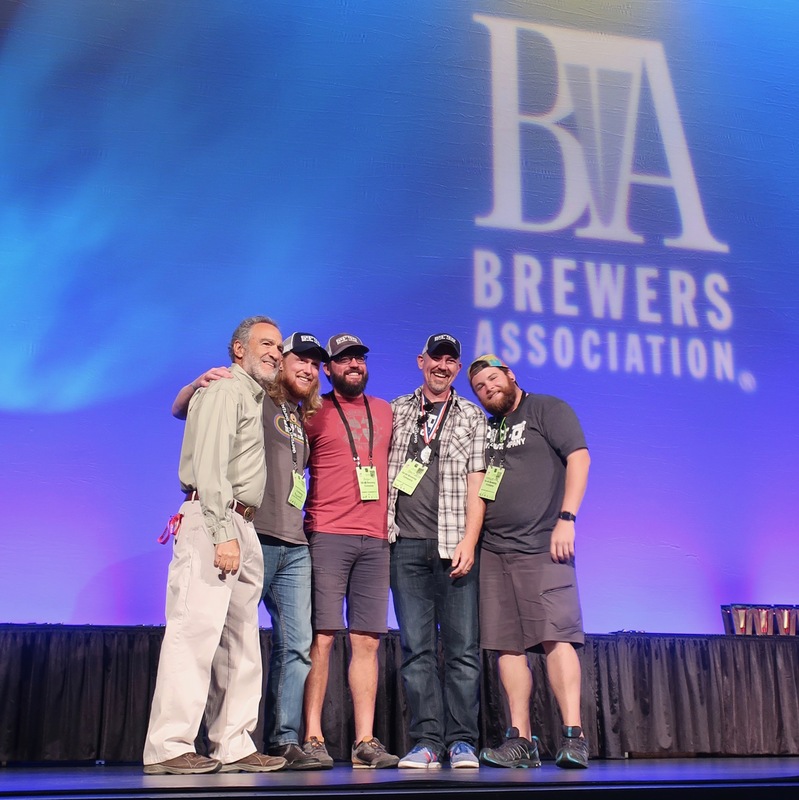 There were 537 first-time GABF entrants and 31 first-time GABF winners in 2018. 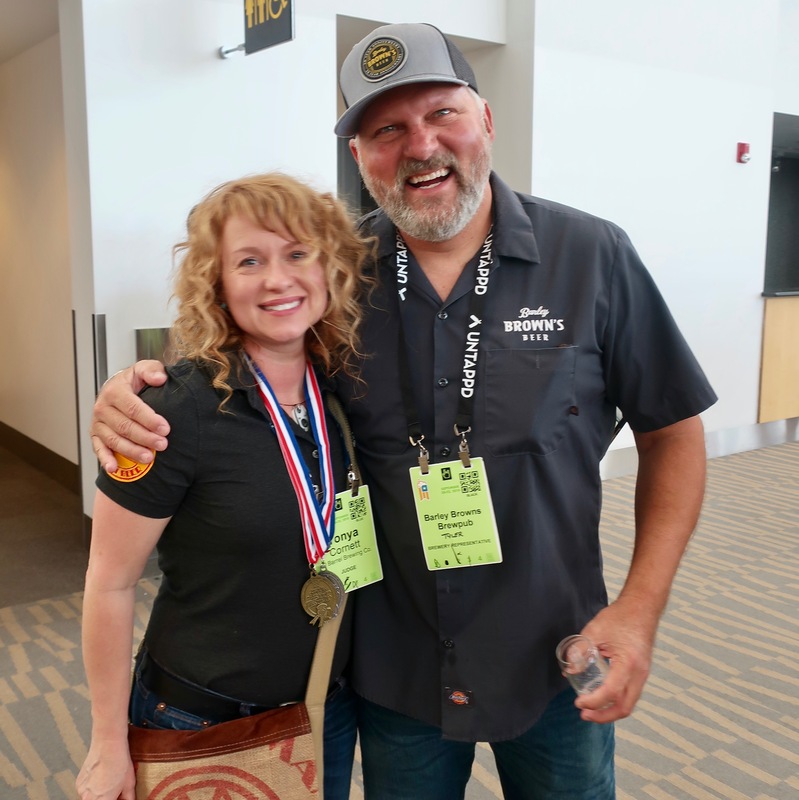 Tonya Cornett of 10 Barrel Brewing and Tyler Brown of Barley Brown’s after the GABF Award Ceremony at the 2018 Great American Beer Festival. 10 Barrel took home 3 medals from the competition. Breweries from the state of Oregon were awarded 5 Gold Medals, 10 Silver Medals and 7 Bronze Medals while breweries in the state of Washington were awarded 5 Gold Medals, 5 Silver Medals and 7 Bronze Medals. pFriem Family Brewers was the big winner from Oregon in 2018. Prior to 2018, pFriem had only won one medal at GABF for its Pilsner with a Silver Medal in 2015. This year pFrieim was awarded a Gold Medal for Druif in the Mixed-Culture Brett Beer category and a Silver Medal for Pilsner in the German-Styel Pilsener category. These two-awarded beers proved large enough to take home the Mid-Size Brewing Company of the Year award in 2015. 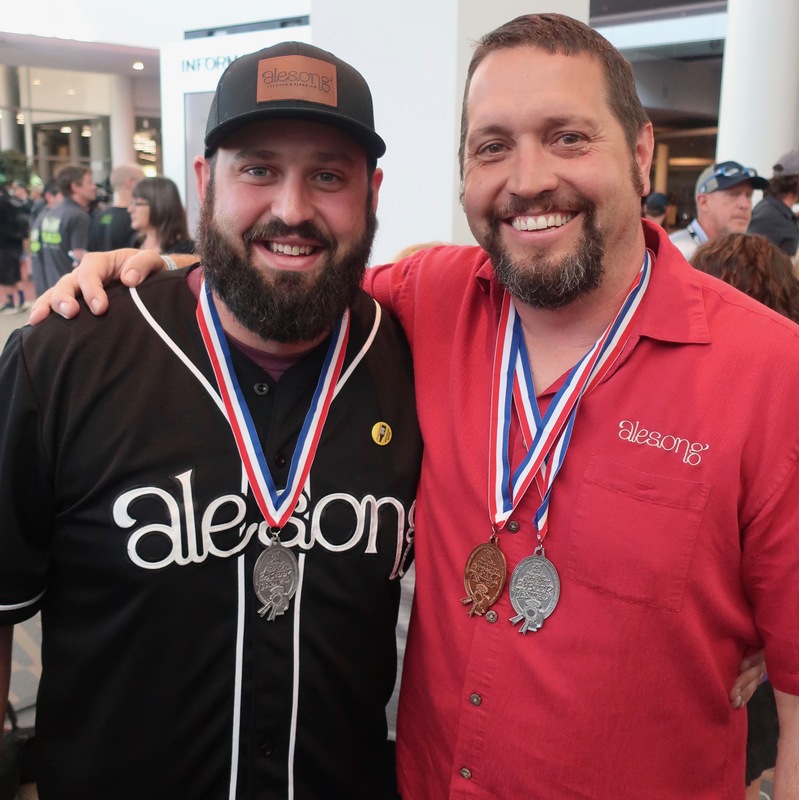 Alesong Brewing & Blending win three medals at the 2018 Great American Beer Festival. Pictured are Brian Coombs and Matt Van Wyk. Grains of Wrath Brewing after winning their GABF Medal for Vienna Lager at the 2018 Great American Beer Festival. 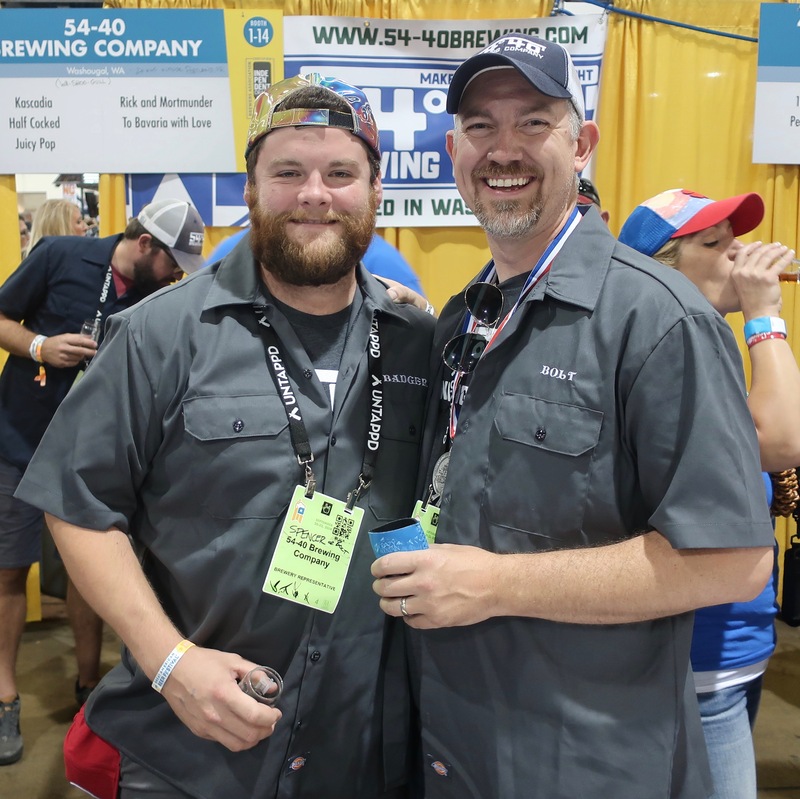 Badger and Bolt Minister from 54°40’ Brewing win a Silver Medal at the 2018 Great American Beer Festival. When it came to the brewery with the most medals awarded at the 2018 GABF, two of the three are from Oregon. 10 Barrel Brewing were awarded two gold medals and one silver medal. Alesong Brewing & Blending were also awarded three medals with two silver and one bronze. Also of note is that Alesong Brewing & Blending have won a medal at each GABF since it opened in 2016. The third brewery to earn three medals is Lewis & Clark Brewing from Helena, Montana. Other Oregon based breweries that were awarded medals at the 2018 GABF include Ground Breaker Brewing that has won a medal in the Gluten Free Category seven years running. GoodLife Brewing has won Gold Medals for its Sweet As Pale Ale for the past two consecutive years. 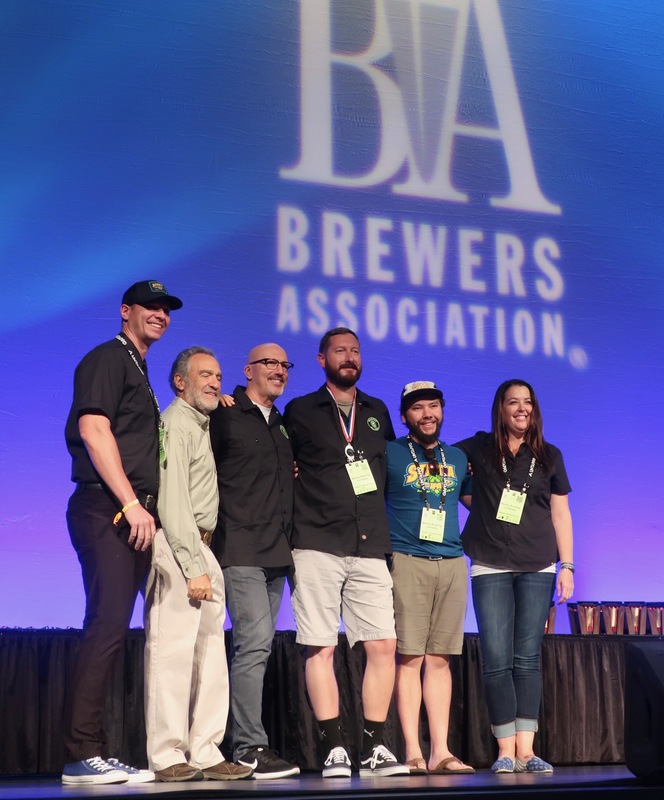 The Craft Brew Alliance team on stage at the 2018 Great American Beer Festival for its third medal of the day. 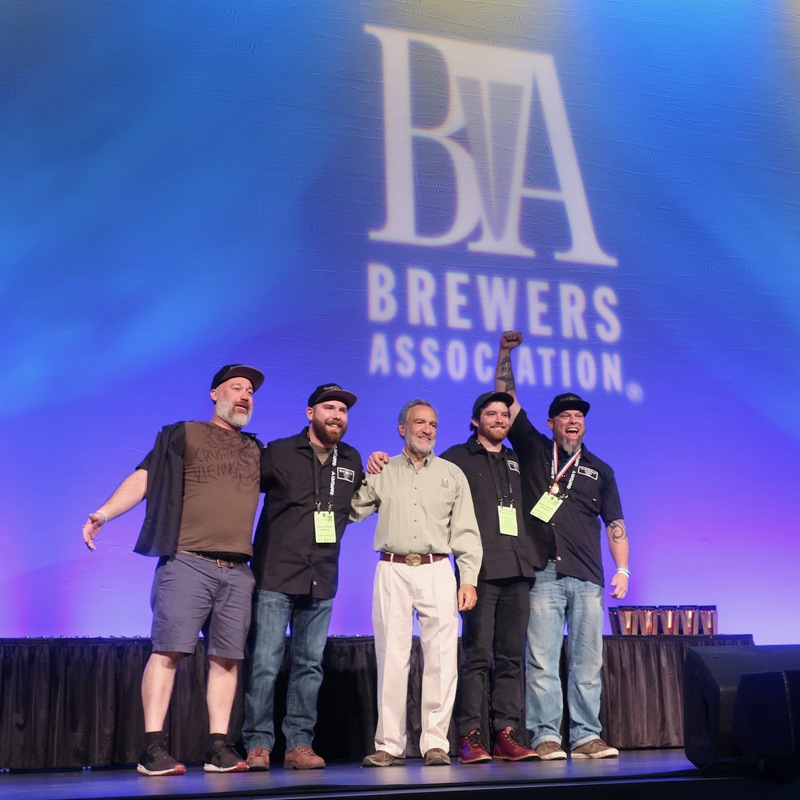 Portland based Craft Brew Alliance won three medals, one each from its Widmer Brothers Brewing and Omission brands along with its stragtegic brewing partner Appalachian Mountain Brewery – Portsmouth. Widmer’s Hefeweizen has won 9 GABF Medals since 1998. Below is a list of 2018 Great American Beer Festival winners from Oregon, Washington and Idaho. 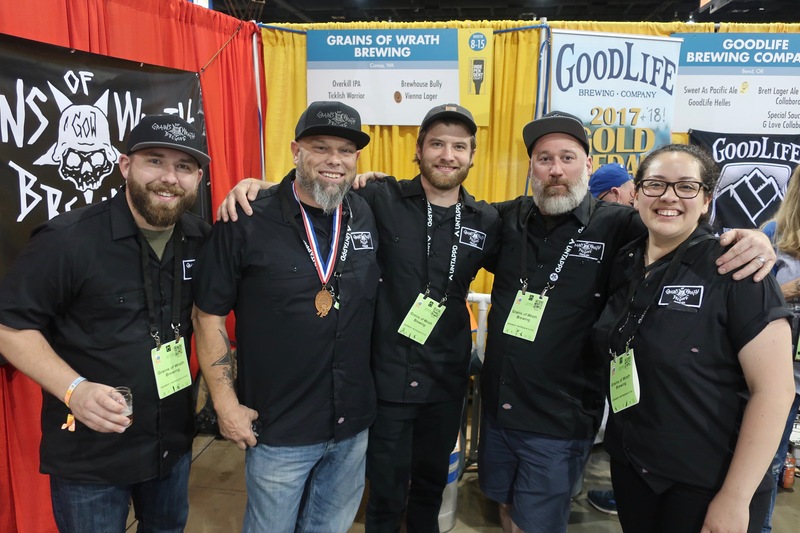 GoodLife Brewing wins a Gold Medal for its Sweet As Pale Ale for the second consecutive year at the 2018 Great American Beer Festival. 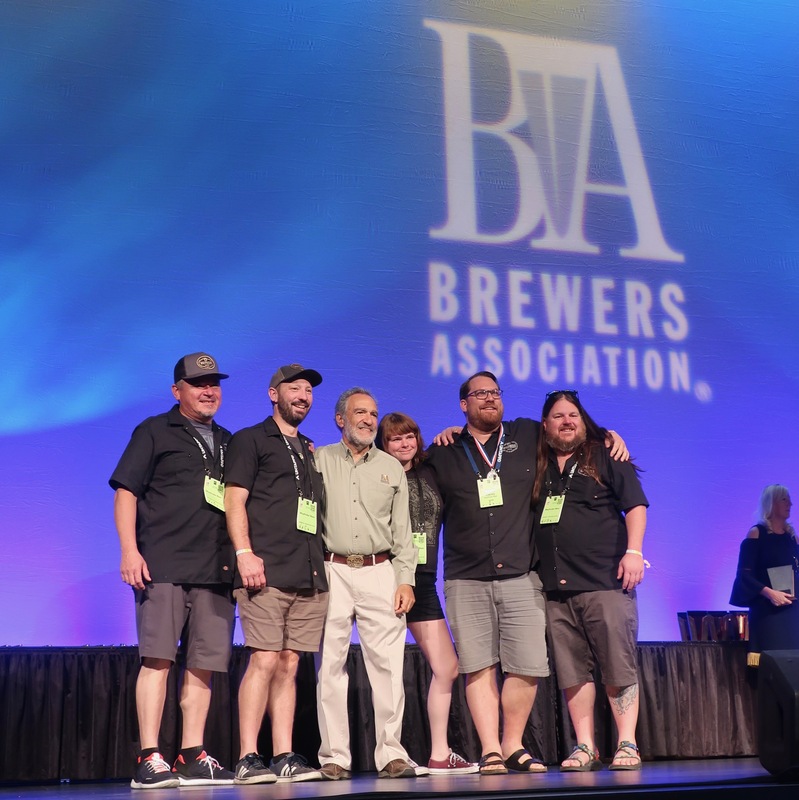 Sunriver Brewing accept their first medal at the 2018 Great American Beer Festival. 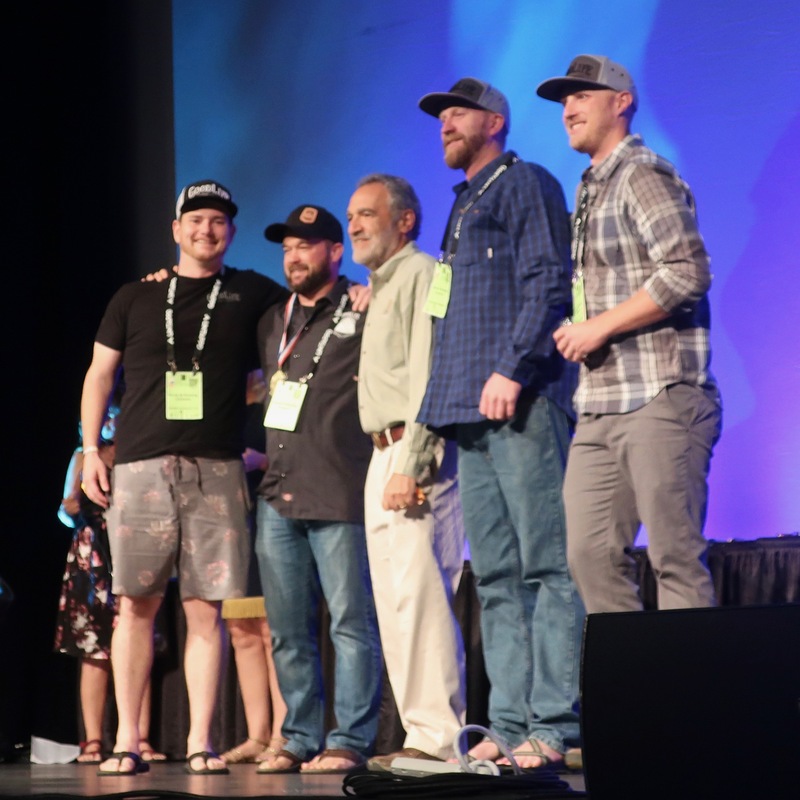 Great Notion on stage for its medal at the 2018 Great American Beer Festival. 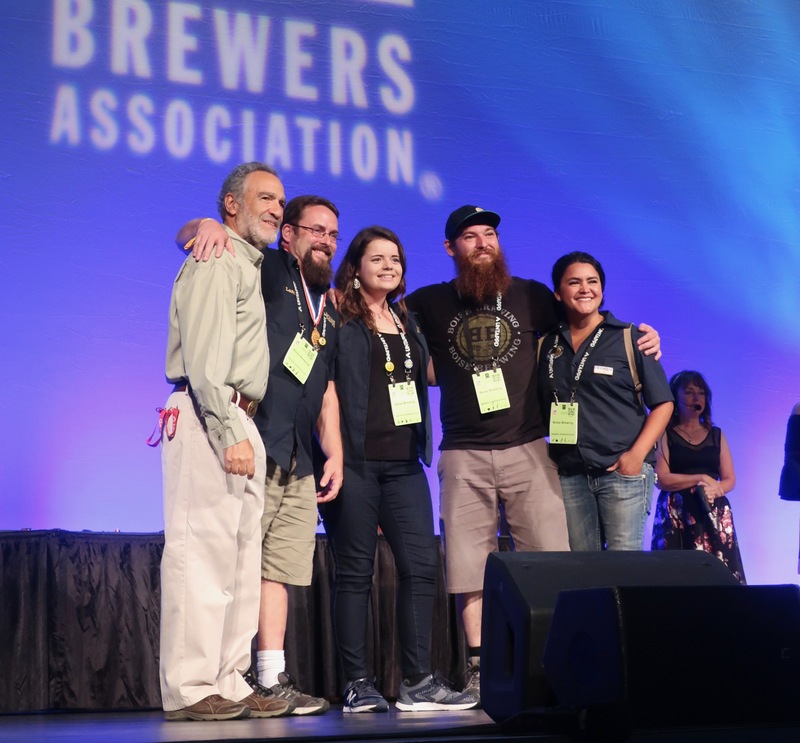 Alesong Brewing & Blending on stage accepting its first GABF Medal at the 2018 Great American Beer Festival. Ground Breaker Brewing continues its streak of winning medals in the Gluten Free Category for seven consecutive years at the 2018 Great American Beer Festival. 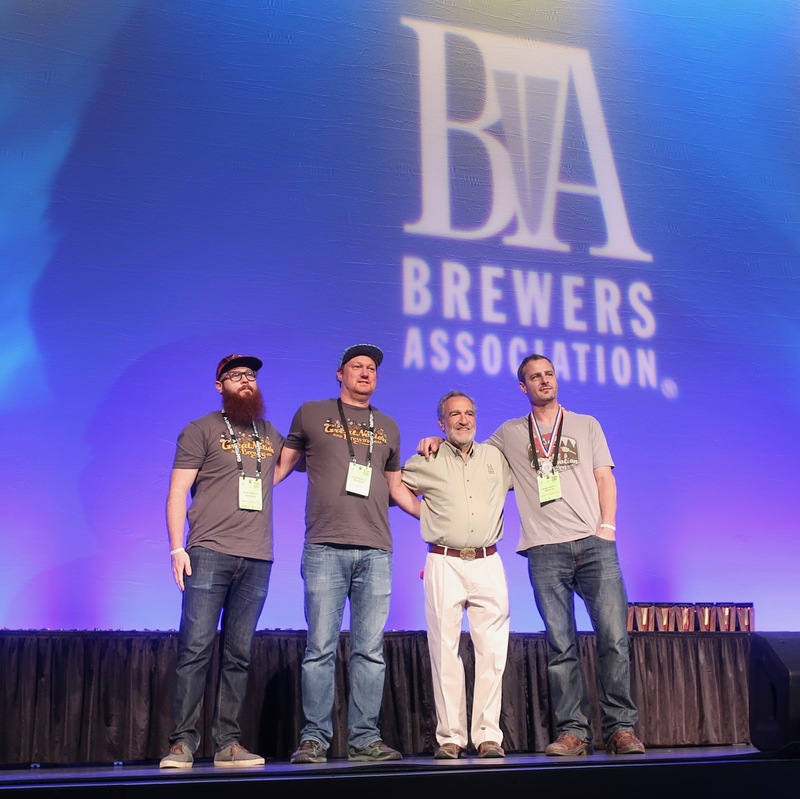 Wayfinder Beer wins its first GABF Medal at the 2018 Great American Beer Festival. 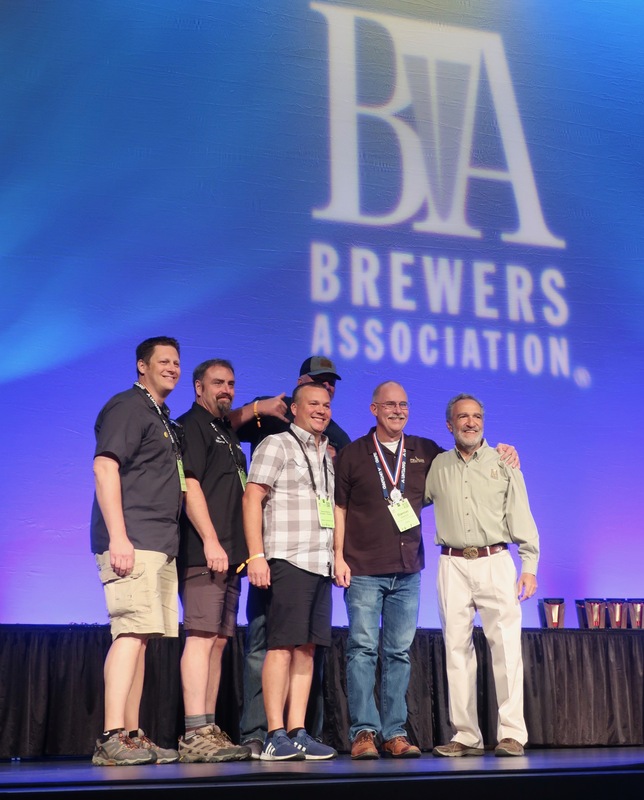 Pelican Brewing on stage accepting its medal at the 2018 Great American Beer Festival. 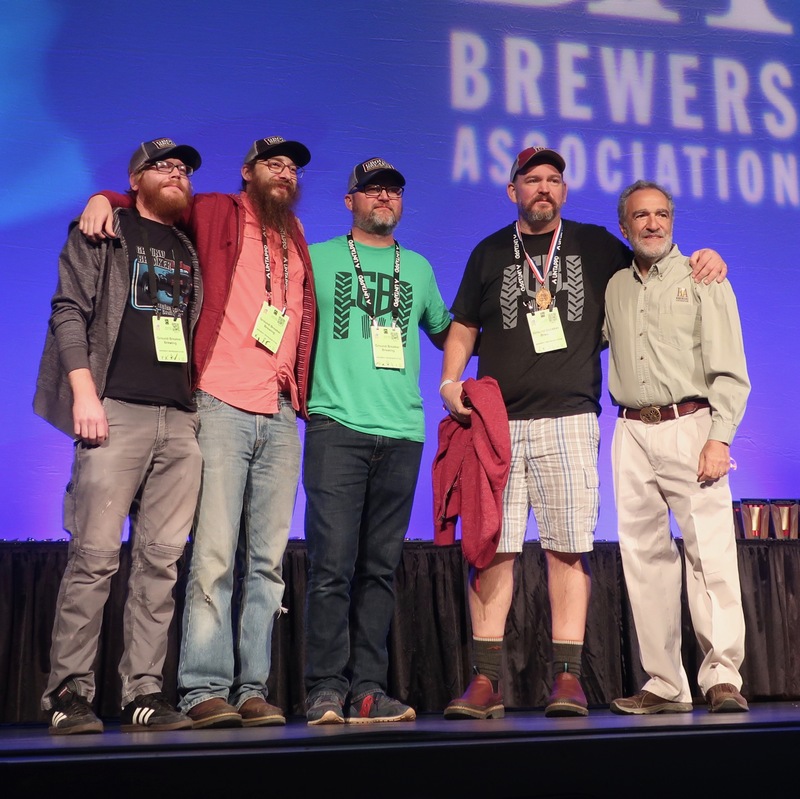 Worthy Brewing wins a medal for its Strata IPA at the 2018 Great American Beer Festival. 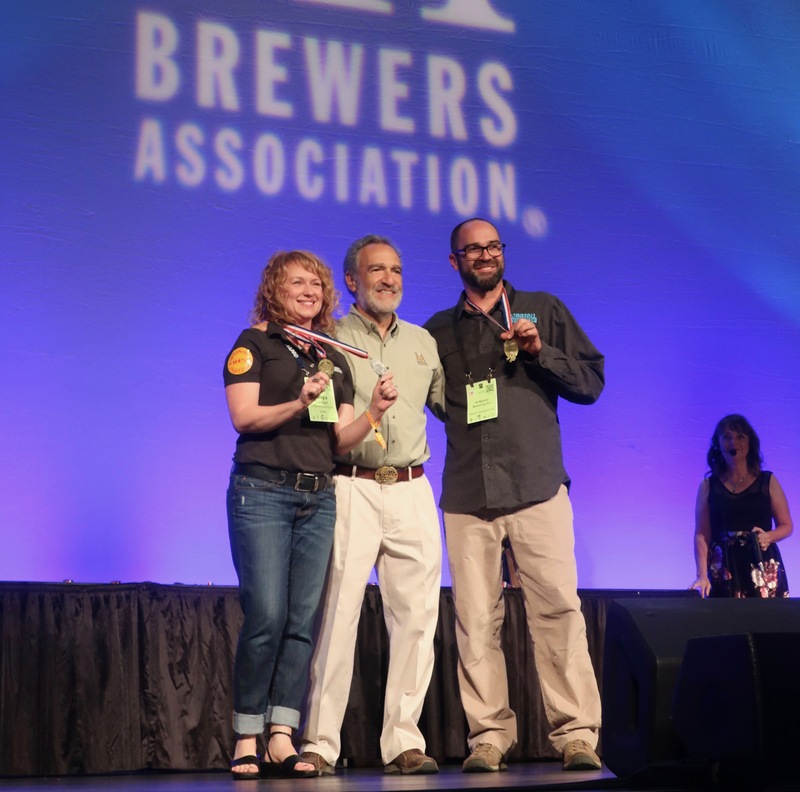 Tonya Cornett and Ian Larkin of 10 Barrel Brewing on stage for their 3rd GABF Medal at the 2018 Great American Beer Festival. 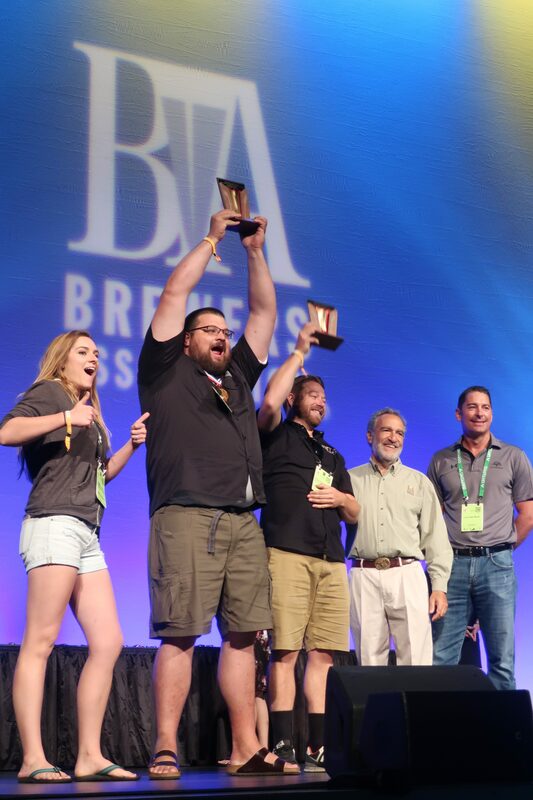 Cloudburst Brewing accepting its medal at the 2018 Great American Beer Festival. Steve Luke from Cloudburst made a statement when the first category winners of the awards were announced with his shirt. 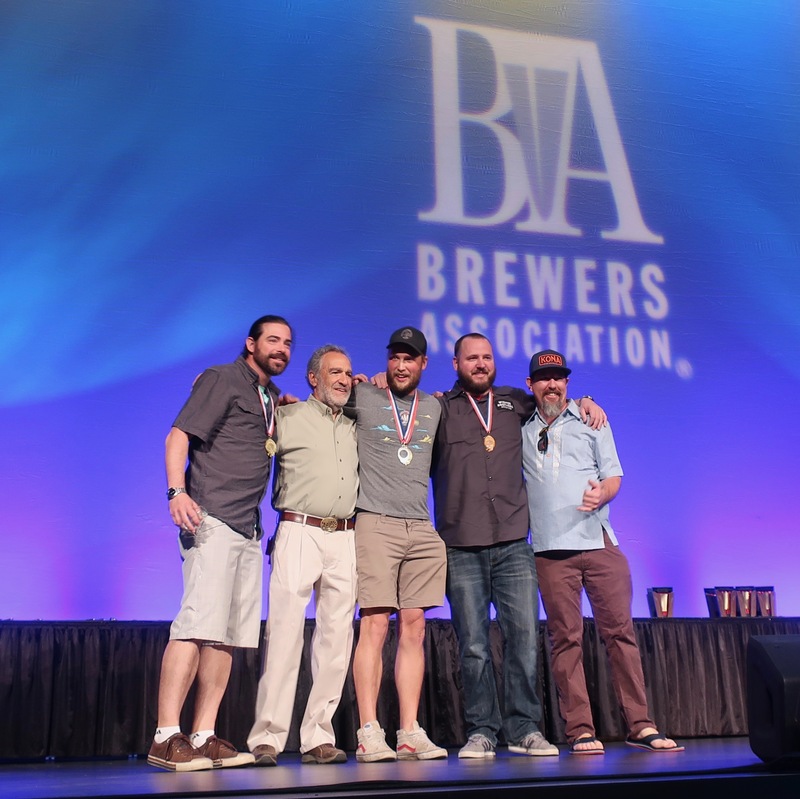 Chuckanut Brewery on stage for its first medal at the 2018 Great American Beer Festival. In its first year of operation Grains of Wrath medals at the 2018 Great American Beer Festival. 54°40’ Brewing win a Silver Medal at the 2018 Great American Beer Festival. Boise Brewing is the sole winning brewery from Idaho at the 2018 Great American Beer Festival. 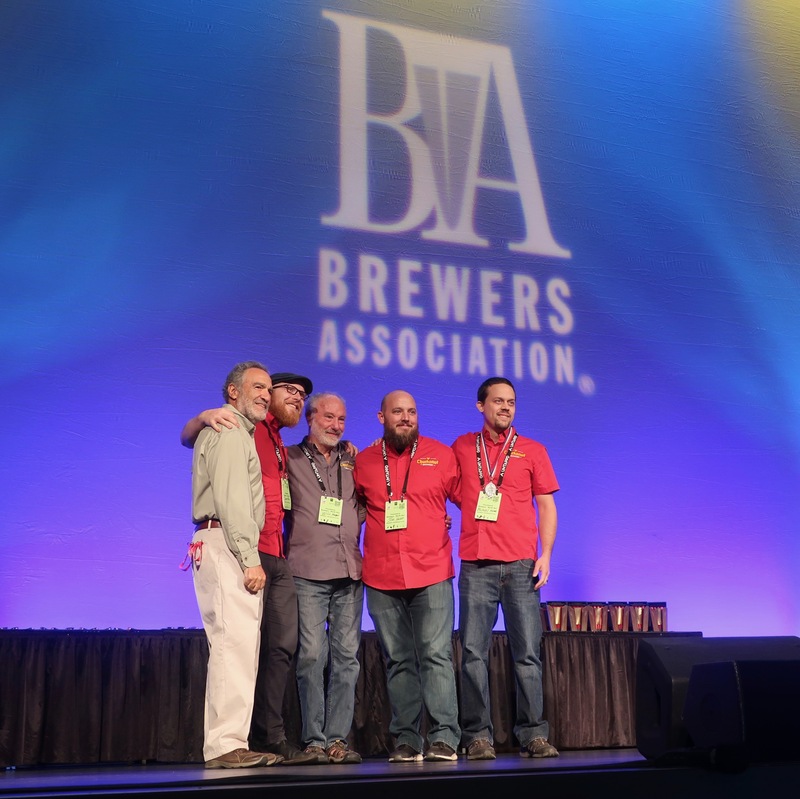 Beyond the Pacific Northwest here is the list of the Brewery and Brewer of the Year Awards that includes the previously mentioned winner of Mid-Size Brewing Company of the Year that went to pFriem Family Brewers. 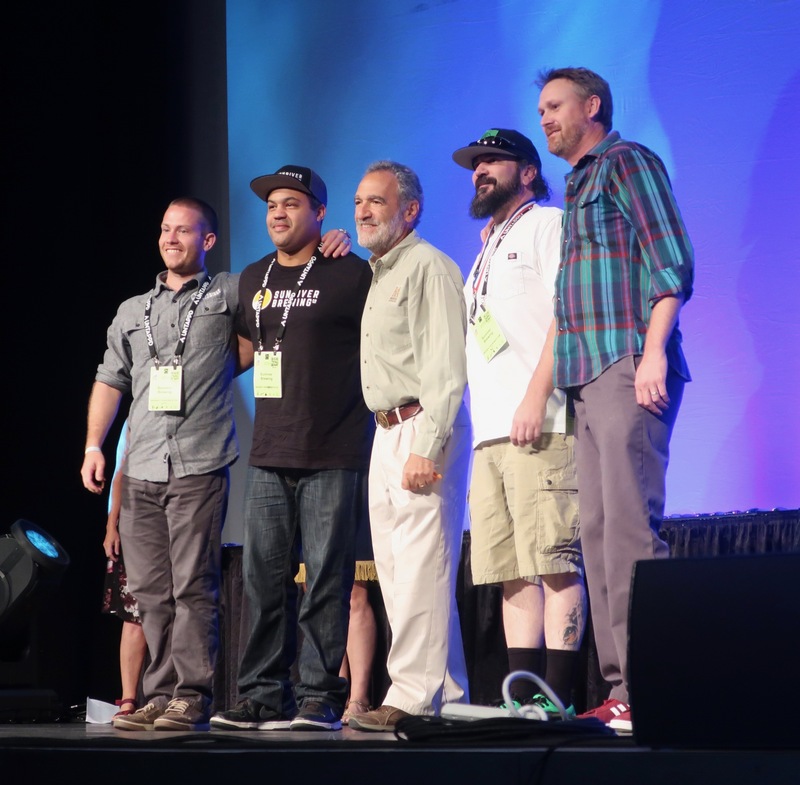 FiftyFifty Brewing on stage accepting its Brewery Group of the Year Award at the 2018 Great American Beer Festival.